Home Events Pages Flipper 1st Anniversary Giveaway! 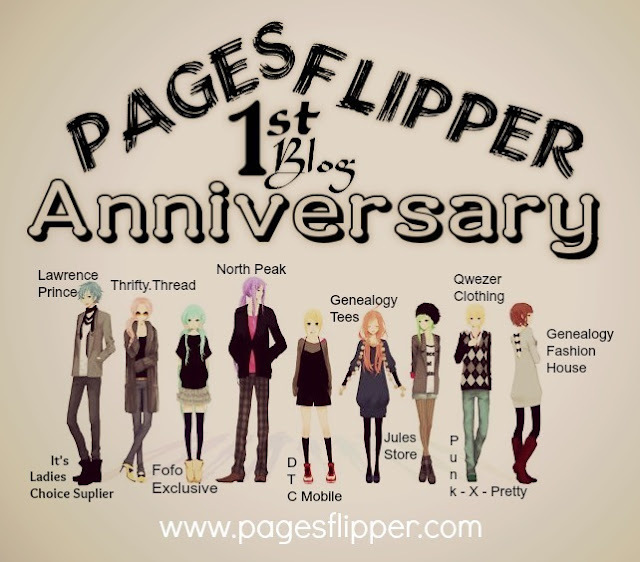 Pages Flipper 1st Anniversary Giveaway! This is it! The long wait is over and rest assured to all who waited this for a long time that this is indeed worth the wait. I will not further discuss the things related to my blogoversary since this post is only meant for the giveaway I am hosting now but just wanted to remind you that my Blogoversary official date is on November 26. This only means that the giveaway we will be having now is just a marathon contest to my blogoversary. Anyway, so much on that. Let's talk about the giveaway now. This Giveaway Rally is open to all residents of the Philippines with at least 13 years of age. Has their own Facebook and Twitter account. Must have a valid email address. All you have to do is "to do it all" but make sure you read all the mechanics carefully and follow all precisely. If you have any questions, feel free to comment below and I'll answer it ASAP. Contest time and date may vary on the rafflecopter widget system. Winners will be notified via email after announcing their names and has only 5 days to reply. Failure to comply may lead to forfeiture of prizes. The sponsors of this giveaway will deliver your prize/s right at your doorstep.